We encourage you to test the quality of our product! 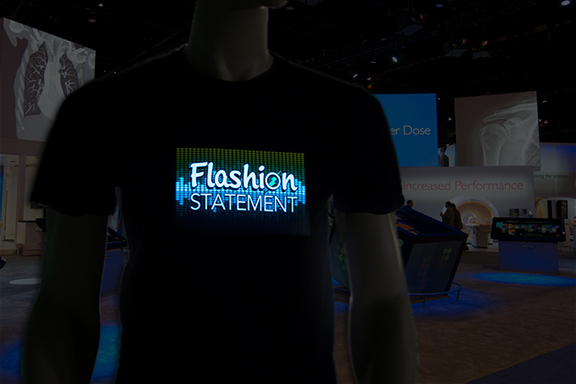 Want to see our light up t-shirts in person without having to spend more money on your custom sample? If you order a pre-made sample you will be able to see exactly how the product works. Please Note: The design will be a pre-made design from a past order we have made. Step 1. Choose between a sewn on panel or a velcro-ed panel for your sample. Step 2.choose between the sound activated battery pack and the automatic battery pack. How do you want the shirt to light up? How do you want the panel attached to the shirt?